The great thing about our country is that even the least experienced entrepreneur can form a new company in a matter of hours. And the second best thing is that if you are a small business owner, you have the right to go out of business. This blog post will discuss the dissolution of an existing company. Since the vast majority of new businesses are limited liability companies, we will discuss the dissolution of LLCs in particular. There are at least two avenues for small business owners to terminate their businesses. If your small business has a ton of debt and not many assets, then it may be time to see a bankruptcy attorney. But if you don’t have a lot of debt, and simply want to move on, then you can dissolve your company without any stigma of bankruptcy. 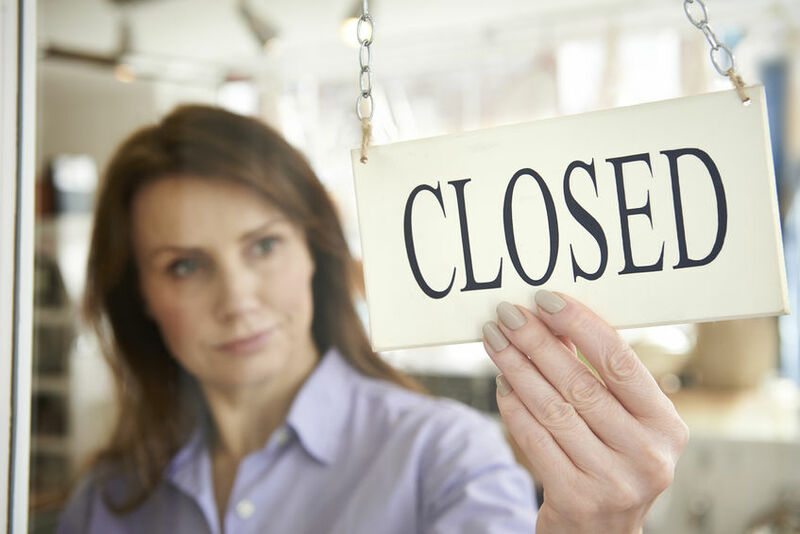 This blog post summarizes the steps you take to dissolve a limited liability company. 1. No business. You opened your doors with great expectation only to find out that your business model was all wrong. Fortunately, you didn’t take out any loans. Your business did not flourish and you have decided to close the business down. 2. Deadlock. You may have business partners with whom you may have fundamental differences about critical aspects of the business and you have reached a deadlock. The business is solvent, just that you and your business partner have a completely different values and priorities. You have decided that you simply cannot stay in business with your business partners and neither of you is willing to buy the other one out. All you can agree on is the dissolution of your business is the best path forward. 3. No merger or acquisition. Most businesses at some point devise an exit strategy and sometimes an attractive approach is to become a takeover target or merge with another business. The owners can then monetize their hard efforts. And yet sometimes no one is willing to purchase the business. The business may be successful, but the business is closely identified with the owners. The owners want to retire or move on to a different field or location. Although the procedures in different states may be different, we focus here on the major steps to follow in dissolving your limited liability company. You can stay tuned for the next blog when we will look at the procedures in various jurisdictions that we encounter the most. In this blog post, we summarize the major steps in dissolution. The first issue is who gets to decide whether to dissolve the company. If your small business is organized as a limited liability company and you have an operating agreement, then the operating agreement will provide guidance on who gets to vote and what percentage of the votes are needed to dissolve the company. When you formed your company, you may have been faced with varying options. Sometimes the agreement requires a simple majority or a super-majority of members. For small businesses, it is probably more common for the consent of all members to decide to dissolve the company. If there is no written operating agreement, then you will need to look at the governing law of a jurisdiction where the LLC was formed. For example, if you organized your LLC in the District of Columbia, then you would need to look at the District of Columbia Uniform Limited Liability Company Act of 2010, which is the governing LLC law for the District of Columbia. If your DC LLC does not have an operating agreement, then you would look for the default provisions under the D.C. Code Section 29-807.01. That section provides that all of the members must consent to dissolution. There are major differences between dissolving a company and winding up the affairs of a company. Dissolving a company is simply the beginning of the process to signal to the outside world that you intend to terminate the existence of your company. After you dissolve the company, you still need to deal with winding up the affairs of the company. The procedures vary considerably from state to state and you should consult with your small business attorney to make sure that you comply with the applicable law. Sometimes your small business attorney will file a document with the appropriate agency to signal that you are dissolving your company. Other times, you do not file a document until the end of the process. Using the District of Columbia as an example, you can simply file a Statement of Dissolution for Domestic Limited Liability Company. You can file this online with the District of Columbia Department of Consumer & Regulatory Affairs. The provisions in the form are straightforward: “Limited Liability Company is dissolved.” Unlike in other jurisdictions, in the District of Columbia does not require a tax clearance. Winding up the affairs of a company can be an extended process or not depending on the assets and liabilities of the company and the requirements of the particular jurisdiction. In our discussion of the some of these requirements, you will notice that sometimes you have to file another form at the end of the process, but you need to check with your small business attorney. Another issue that differs from jurisdiction to jurisdiction is whether you should simply let the company be administratively “dissolved,” usually by not paying your filing fees. This seems to be the choice of some small business owners, but there is some downside risk. First, the administrative agency may continue to levy fees against the LLC. Second, if creditors have not been satisfied or if a contingent liability rears its ugly head, the creditors may then try to come after the individual members personally. If your company has filed for bankruptcy and followed the bankruptcy proceedings, then you will likely not have to worry about personal liability, but if you have simply dissolved the company then you may some concern. Also remember that even if your company files for bankruptcy, that will not terminate the existence of your company. Terminating an LLC’s existence as a separate legal entity involves dissolving, winding up the LLCs affairs, paying creditors and more. The extent of the risk if you do not dissolve your company but rather let your good status lapse varies from state to state. In our next blog, we will compare the dissolution proceedings in four different jurisdictions to highlight some of the differences in dissolution procedures from state to state.